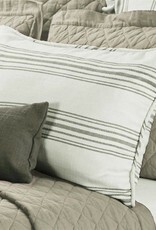 This standard sham sewn in taupe stripe ticking features a clean piped edge and rounds out your cozy cottage style. 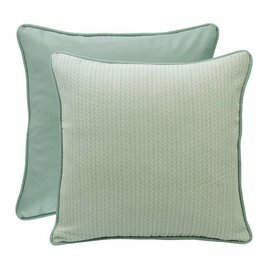 This sham can be added to several collections and combined with other colors for a unique style. Measures 21" X 27". Dry clean only. 100% polyester. Imported. 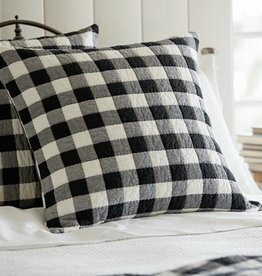 This diamond quilt euro sham in classic vintage white compliments any bedding collection with its cool, fresh feel and crisp texture. Measures 26" X 26". 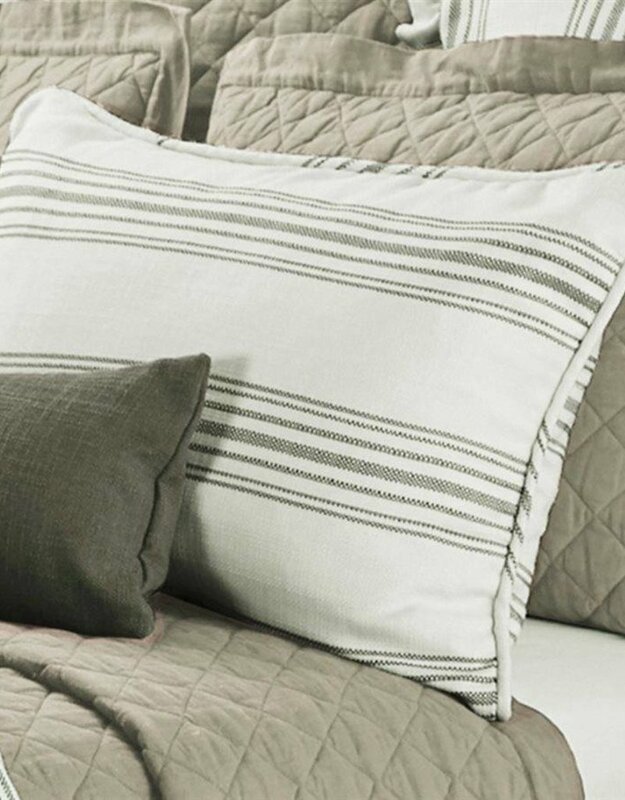 Designed for the Belmont collection, this reversible textured fabric euro sham will be the perfect finishing touch for your bed.